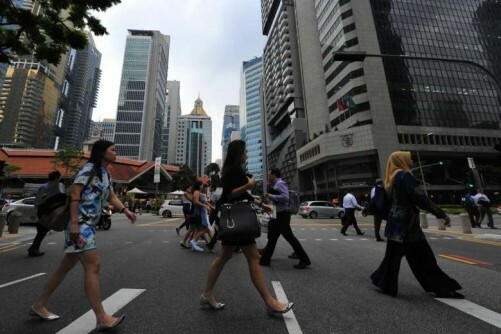 SINGAPORE - About 100 job-seeking professionals, managers and executives (PMEs) have joined a peer-support programme by the labour movement to help them get through the challenges of being unemployed. The number has been rising steadily over the past year. Meanwhile, another group - the career activists - those who help these unemployed PMEs identify obstacles and opportunities and lend an ear has seen a rise in their numbers. The number has increased from three to 30 during the year-long pilot run of the Career Activation Programme. Giving an update on Wednesday (July 27), National Trades Union Congress (NTUC) assistant secretary-general Patrick Tay said that the average age of those joining the free programme is 48 years. "We are seeing an increasing number of retrenchments, particularly affecting professionals, managers and executives," said Mr Tay, adding that he expects the trend to continue this year in foreign financial institutions and the oil and gas, offshore and marine and retail industries. "Beyond the schemes, structures and funding that are already in place, this provides the softer elements in terms of psychological well-being and networks, which are lacking and much needed for our fellow PMEs," he said. To enhance the programme, social enterprise GioCareers and the NTUC's PME Unit will be adding more forms of support such as an online forum, a workshop on career-life planning and management, and follow-ups even after participants find jobs to ensure they integrate well into their new work environment. Mr Tay, who heads the PME Unit, said the programme can take in triple the number of participants in the coming years if the need arises. Volunteers will also go through structured training and certification at NTUC LearningHub to improve their skills in listening and coaching. These volunteers are generally PMEs who have been through challenging job hunts themselves, and when they meet with participants they are able to empathise and try to help them identify obstacles to their careers - which could range from health issues to caregiving duties - and provide constructive suggestions to manage these, said GioCareers chief executive Hector Lin. One participant-turned-volunteer, Mr Chong Kum Hong, 54, said he was caught by surprise after leaving a relationship management job as he spent about half a year searching for a job. Several interviewers told him he was overqualified and he said he found himself wondering whether his years of experience and skills were no longer relevant. "Coming into the programme we know we're not alone. Instead of being worried and turning negative, by being positive we can attract positive information and networks," he said. He now works as a community director at GioCareers.